Ofir Drori, a tireless anti-corruption whistleblower and law enforcement activist working on the frontlines of endangered wildlife protection in West and Central Africa, has been awarded the 2012 WWF Duke of Edinburgh Conservation Medal. 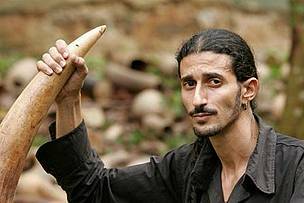 London, UK – Ofir Drori, a tireless anti-corruption whistleblower and law enforcement activist working on the frontlines of endangered wildlife protection in West and Central Africa, has been awarded the 2012 WWF Duke of Edinburgh Conservation Medal. 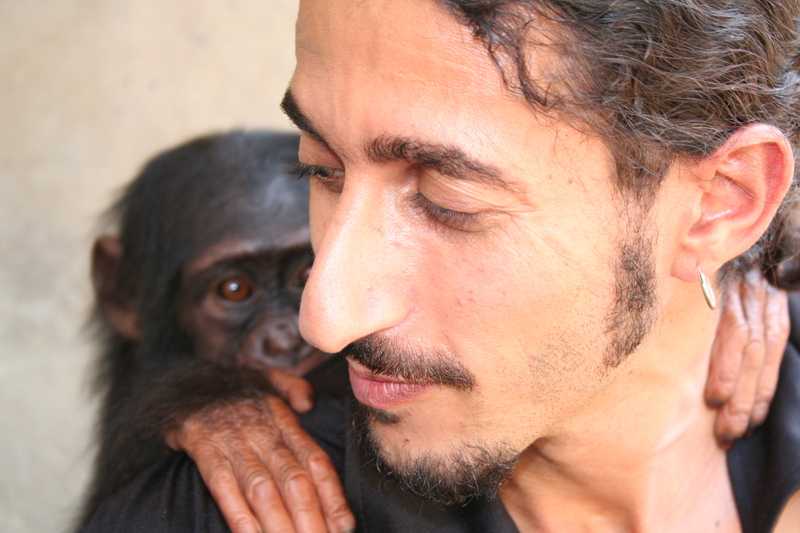 Israeli educator, photojournalist and activist Drori, 36, arrived in Cameroon a decade ago where he founded the Last Great Ape Organization (LAGA), the first wildlife law enforcement non-governmental organization in Africa. Within seven months, LAGA had brought about Cameroon’s first wildlife crime prosecution, providing a model that is now being replicated in West and Central Africa. Drori is also founder-director of the Central Africa Wildlife Law Enforcement Network. Promoting wildlife law enforcement by combating corruption at all levels, LAGA enabled a shift in Cameroon’s judicial system resulting in arrests and prosecution of major wildlife criminals. The LAGA anti-corruption success story has been replicated in West and Central Africa in activities that go beyond nature conservation to the defence of human rights. Wildlife poaching and organized criminal trade in wildlife have escalated dramatically in recent years and are now the greatest threat to many of WWF’s flagship species. Ofir Drori’s efforts have resulted in hundreds of arrests and prosecutions across West and Central Africa, and helped propagate a zero tolerance approach to illegal wildlife trafficking in Cameroon. WWF is taking action to combat wildlife crime and works with countries where poaching occurs, where illegal trade transits and in consumer countries to stop wildlife crime – by strengthening law enforcement, combating corruption, getting illegal wildlife trade recognised as a serious crime, and reducing demand for endangered species products. The Duke of Edinburgh Conservation Medal was first given in 1970 and is awarded annually by WWF for outstanding service to the environment. Ofir Drori joins a long line of conservation leaders to receive the award – including the 2011 winner, Dr Ashok Khosla, one of the world’s foremost sustainable development experts. Mr. Drori receives his award today in a special ceremony at Buckingham Palace in London. 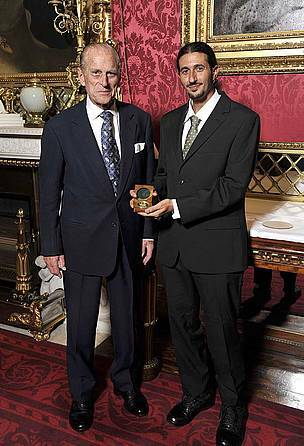 Ofir Drori, founder of LAGA, receives medal from HRH the Duke of Edinburgh.